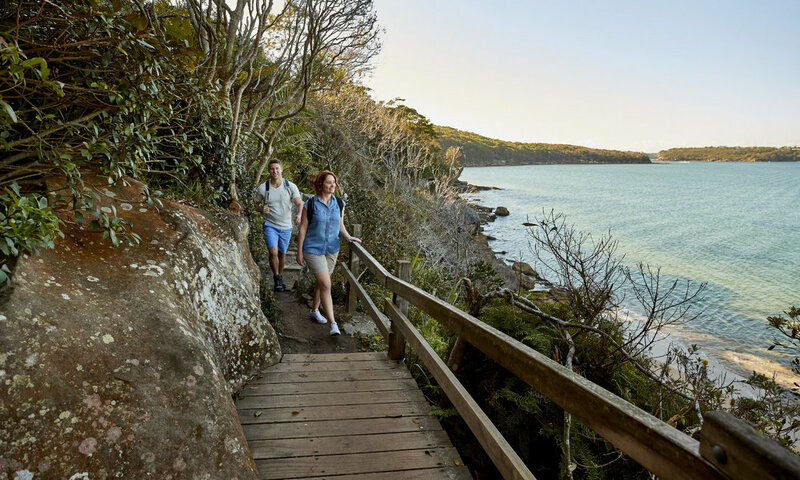 ​Lets get out of the city and reconnect to nature as we hike 3-4 hours together through the Sydney Harbour National Park to Manly Beach. As the sun sets in the afternoon, we'll explore hidden beaches and Aboriginal rock engravings, and immerse in the local flora and fauna. You will get to learn all the history of Sydney and the area, and experience the beauty of Sydney's harbour. You can also swim at one of Sydney’s most beautiful harbour beaches. After the walk, you will have time to explore Manly beach and its famous cafes and bars. You can then take the Manly ferry back to the city, straight past the Opera House and Harbour Bridge. All money raised goes to helping kids in need! ​(A meeting spot at Spit Bridge can also be arranged upon request). Normally around 2pm, but varies depending on date. Manly Wharf (there is a direct ferry to Circular Quay from Manly). By making a booking with Emu Trekkers, you agree to be bound by Emu Trekkers' Terms and Conditions and Risk Waiver. If you are making this booking on behalf of a child, you agree that the child is at least 13 years of age and, in addition to above, you are their parent or legal guardian and will accompany them at all times during the tour. If you have any further questions, please feel free to see our FAQ page or send us a message at contact@emutrekkers.org. ​​What are you waiting for?